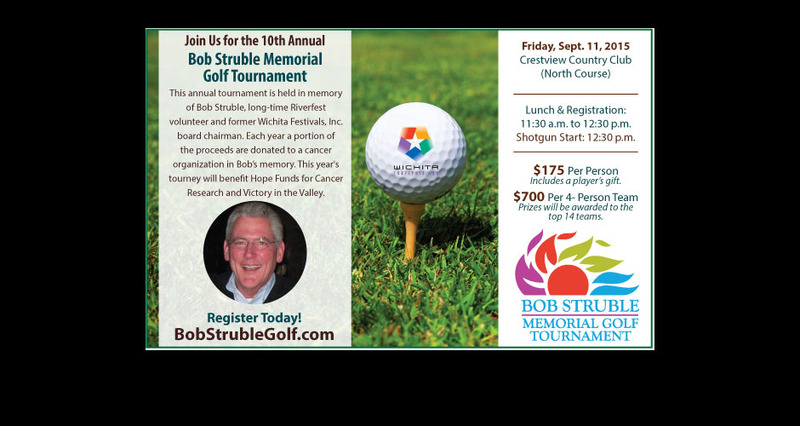 This annual golf tournament is held in memory of Bob Struble, long-time Riverfest volunteer and former Wichita Festivals, Inc.board chairman. Each year a portion of the proceeds are donated to a cancer organization in Bob’s memory. This year’s tourney will benefit Hope Funds for Cancer Research and Victory in the Valley.